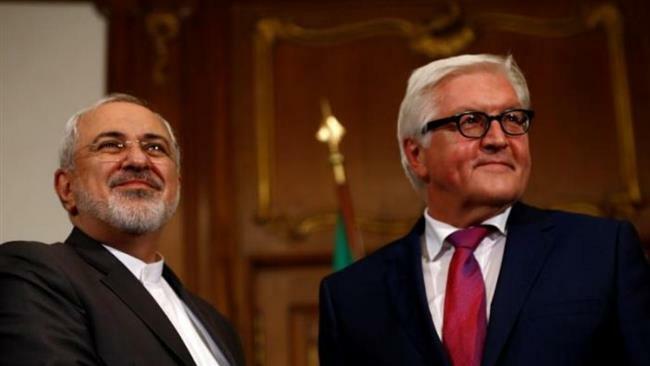 Iranian Foreign Minister Mohammad Javad Zarif has congratulated Frank-Walter Steinmeier on his election as the new German president. He also voiced hope that Steinmeier’s appointment would bring Iran and Germany closer together. Earlier in the day, Steinmeier gained 931 of the 1,260 votes in a German parliamentary assembly to become the nation’s new president. The vote came as incumbent Joachim Gauck, now 77, had announced last year that he would not seek a second five-year term because of his age. Russian President Vladimir Putin also offered his congratulations, while inviting the new German president to visit Moscow. “Vladimir Putin confirmed his commitment to the continuation of constructive dialogue on the topical matters on bilateral and international agenda and invited Frank-Walter Steinmeier to visit Russia at his convenience,” read a statement released by the Kremlin. President of the European Council Donald Tusk also penned a letter of congratulation, wishing Steinmeier success in his new role. “Your appointment comes at a critical moment for Europe. The many external and internal challenges we are facing could hardly be more severe. In times like these, European unity is more important than ever, and I look forward to Germany’s continued contribution to the European project,” read part of the letter.